Bruschetta recipe made with baguette and fresh cherries. 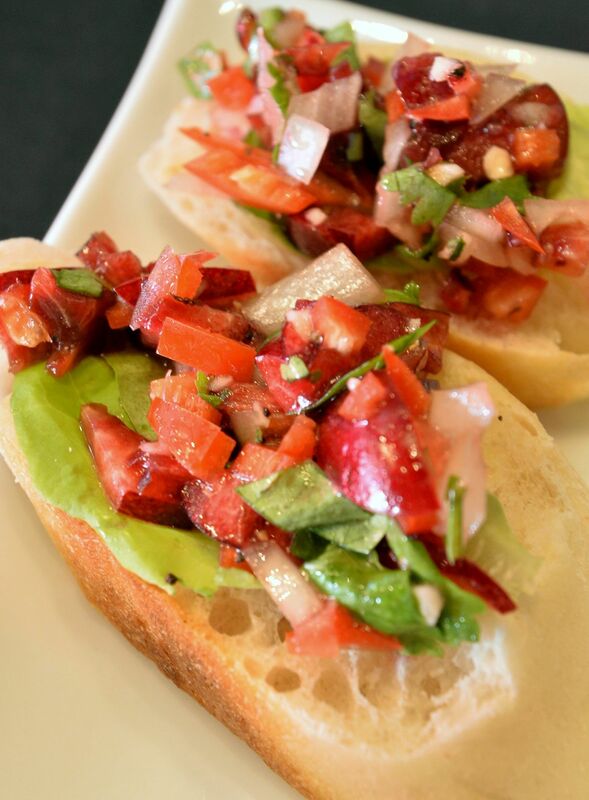 Bruschetta is a great addition to parties as finger food or snacks. This recipe is courtesy of Northwest Cherries. Combine the ingredients into a mixing bowl, season to taste and add a bit of lemon juice. Slice the baguette, toast and spread with butter. Put all the ingredients on top of the sliced and toasted baguette and garnish.